Makes Learning About Nutrition Fun! 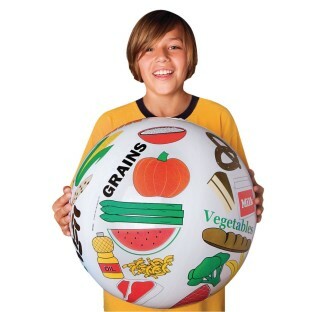 Exclusive 24" beach ball covered by colorful graphics. Graphics depict 40 foods and 6 food categories. Great movement activities for a variety of ages. Makes learning about nutrition fun! 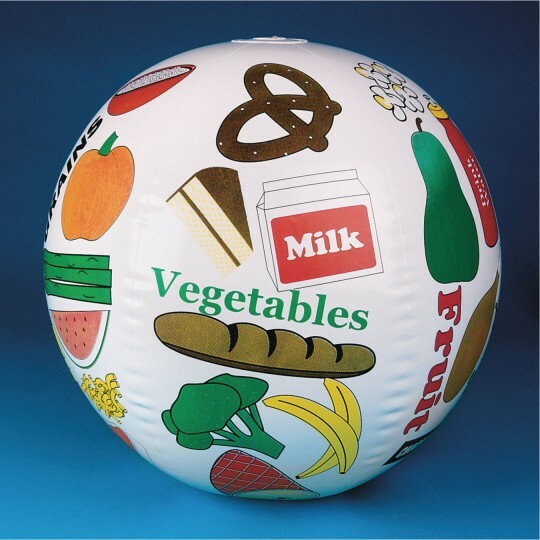 Our exclusive 24" beach ball is covered by colorful graphics that depict 40 foods and 6 food categories. Instructions include activity ideas that require movement for a variety of ages, so your group will be burn calories as they learn. Great tool for classrooms, P.E. classes, recreation programs and institutional settings. 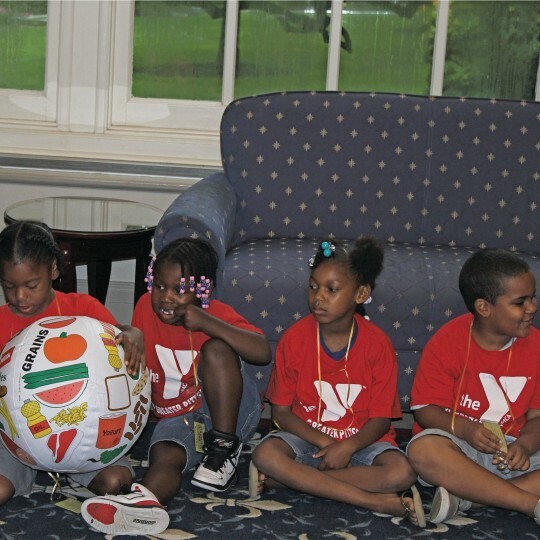 We used the Nutrition Toss and Talk ball at a Nutrition/Science Fair for YMCA children K-3rd Grade. It was a great way to talk about food groups and nutrition. The kids really enjoyed it! I especially like it because we were able to engage a larger group of children all at the same time versus having just a few of them play a nutrition game.